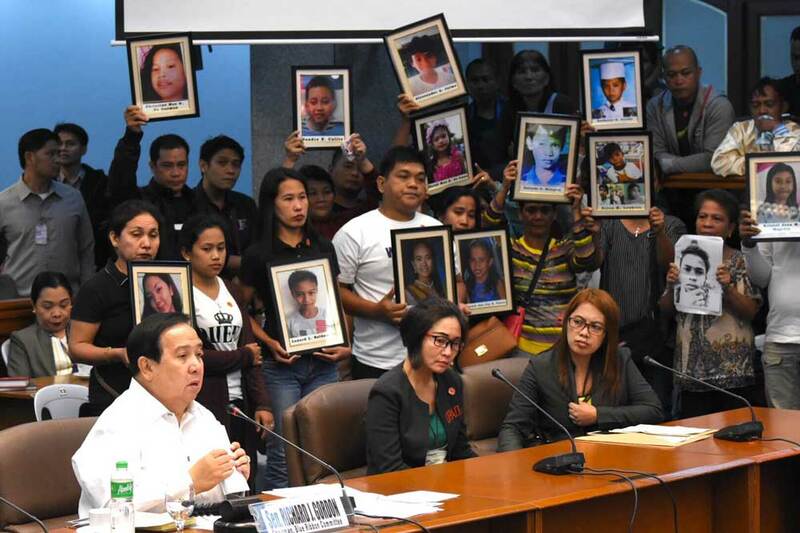 The draft Philippine Senate Committee Report on its investigations into the massive Dengvaxia inoculation of 830,000 children, without their parent’s informed consent and required professional advice, has implicated former president Benigno S. Aquino, former Cabinet secretaries Florencio Abad, Department of Budget and Management (DBM); and Janette Garin of the DoH because of the undue haste on the purchase and sale of the anti-dengue vaccine Dengvaxia manufactured by French pharmaceutical giant Sanofi Pasteur. The dengue immunization program was initiated in 2016 as a school-based program under the then-secretary of health, Janette Garin. 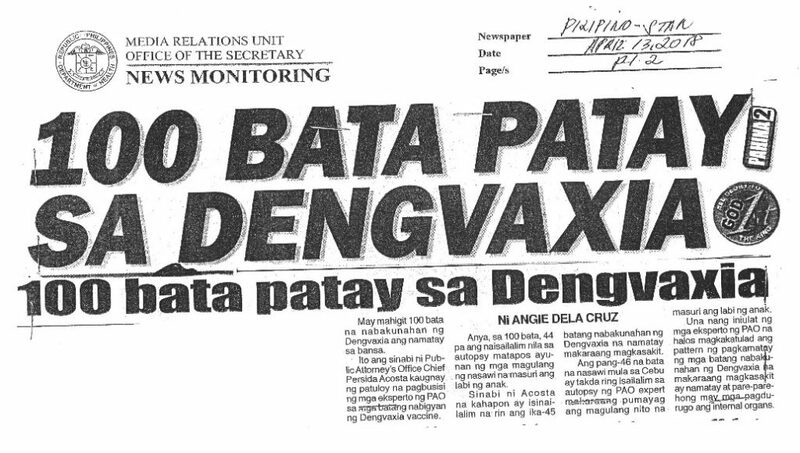 The accelerated approval by which a portion of the national budget was realigned for the unscheduled purchase of PHP 3+ billion worth of Dengvaxia vaccine months before the May 2016 presidential elections, and the number of medical professionals on Sanofi payroll, were all exposed for the nation to see. This further aggravated the ire of the parents of the victims, who are now opting out from all government vaccination campaigns. The Department of Health on Saturday declared a measles outbreak in Zamboanga City as it appealed to the public to support the government’s immunization programs. Health secretary Francisco Duque III maintained that the DOH is “resolute in its desire to win back the trust and confidence of the public on vaccination” following the Dengvaxia vaccine controversy. “Although some sectors may attribute the outbreak to the Dengvaxia issue, it is actually the result of low measles vaccine coverage in the past years which led to the accumulation of susceptible individuals,” he said. These children complained about extreme migraine and suffered violent deaths as the brain and organs undergo massive hemorrhaging from Dengue. It can now be said that Dengue is meant to trim the Philippine population to a more manageable level, just as SARS was meant to reduce the Chinese population. This trend of Dengue-related deaths will continue unless a more decisive government approach will be instituted. This is where we will attempt to present the anti-viral device that we are developing for mass distribution before the year ends, or early next year. It is, of course, up to the Duterte government to support it, or we will go directly to the public, as we have been doing through our instructional book, since 2011. If there is a positive side to the whole Dengvaxia controversy, it is the lesson learned from the Filipino parents not to fully trust the decision makers and regulators when it comes to the welfare of their children. 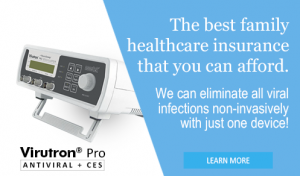 The willful collusion between government officials, the government hired private drug testing companies and Sanofi was fully exposed during the senate investigations for all to see. On the side of the perpetrators, denial of culpability has always been the rule. It is the only refuge for an incompetent Jesuit-installed Philippine administration of BS Aquino. This explains the deafening silence of the Vatican Church hierarchy about the grossly expensive and genocidal Dengvaxia massive clinical test throughout the investigations. But what can we expect from a perennial lip serving entity? They interfere actively in Philippine politics, but when it comes to the failure of their puppets, the medieval organization is nowhere to be found. It is high time for the Filipino people to rid of these parasites in their midst, and for which no vaccine could ever neutralize. Four hundred years of mass hypnosis are the real root cause of all your social ills. You will suffer more if all you do is knell without any iota of informed consent on your part. The presumption of regularity should never be applied in all things physical and spiritual. Pharmakeia is the art of using poison to “turn man into swine”. This is what the mythical goddess Circe is doing right now. Circe is the etymology, or the root word, for the Church. The whole thing is not a random accident. It is a ritual known as holocaust, or burnt offering, of this same Demonic Empire. Sadly, the provincial church hierarchy in the Philippines knows nothing, or willfully ignore, about the bigger picture. They are just like fish who knows nothing beyond the pond.